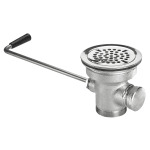 The Krowne 22-204 twist valve is compatible with a 31⁄2-inch sink opening. 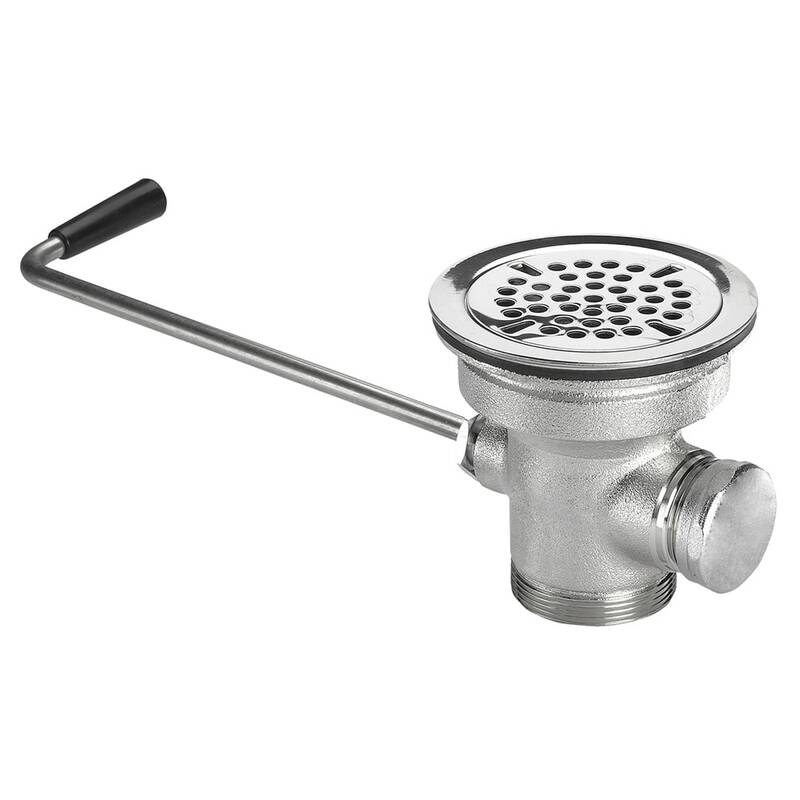 Its strainer catches large debris, and its handle is comfortable to maneuver—both stainless steel components provide durability and resist rusting. Its drain outlet has 2-inch male outer threads with 11⁄2-inch female inner threads.